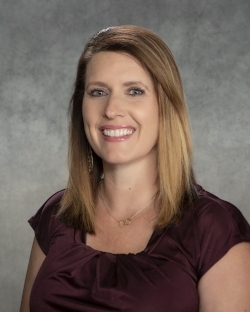 Amanda joined HiROC as a Nurse Practitioner in 2018. Prior to joining the practice, Amanda practiced as a Nurse Practitioner for two years providing OB/GYN care in the Knoxville area. Prior to becoming a Nurse Practitioner, Amanda spent 13 years in Labor & Delivery at UT Medical Center. She practiced as a Clinical Nurse Educator following new nursing staff on Labor & Delivery. She also served a charge nurse and team leader. She received her BSN from the University of Tennessee and her MSN from East Tennessee State University. Amanda sees pregnant and preconception women with complications related to PCOS, Gestational Diabetes and Type 1/Type 2 diabetes. She collaborates with a team of doctors, nurse practitioners, and a registered dietitian to help these high risk women have safer, healthier pregnancies and babies. Amanda is certified through the American Nurses Credentialing Center as a Family Nurse Practitioner.